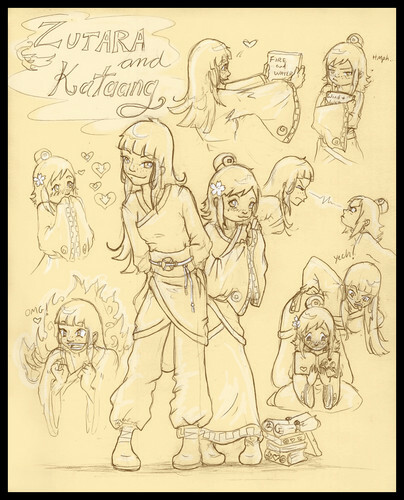 Zutara and Kataang. This is like me and my sister. Except, switch the ships around because I'm older.. HD Wallpaper and background images in the 아바타 더 라스트 에어벤더 club tagged: katara aang zuko avatar the last airbender. This is like me and my sister. Except, switch the ships around because I'm older. This is to emphisize that us Avatarians all love each other! We all love the show and that's the one thing we all hae in comon that's big. I swear, if we didn't all fight for shippings, we would all get along! So let's not fight anymore!!!! Yipee!! !